My friend Juanita and her husband won the base-wide bowling championship down at Offutt AFB about a month ago. 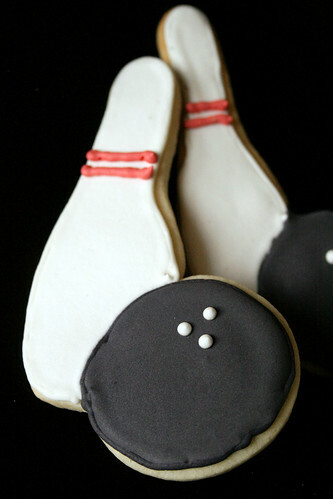 I wanted to make her some cookies to celebrate, but I didn’t have any bowling-related cutters. THEN, I noticed the announcement asking for refreshments for Isaac’s blood drive, and I set about looking for a tractor cutter as well. As luck would have it, I found both great cutters on the same site! Even more in luck, the blood drive refreshments needed to be mailed to Juanita – meaning I could surprise her as well! I wrapped them in red ribbon and packaged them in a crate with lots and lots of red tissue paper. I nestled them inside the box with all the blood drive cookies and a special note for Juanita on top. When she received them, she loved them – yay! 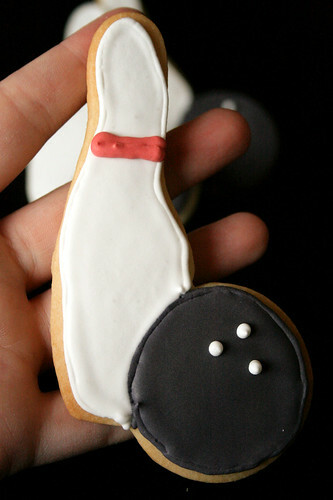 But I have an important question for any future bowling pin cookies – something Philip and I debated over when I set to decorating. 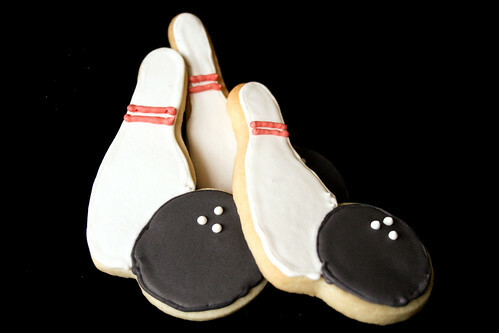 Do most bowling pins have one stripe, or two? But Philip insisted they have just one large stripe instead. We searched for an answer online, but we found examples of both. Still, I’m wondering what the first reaction would be for most of you. 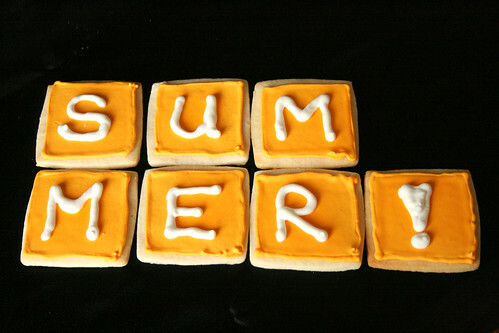 In addition, I had just seven little squares leftover when I ran out of green flood material for making the John Deere logos, so instead I flooded them with yellow, making a fun treat for the boys to eat. See?